Finding stateside ancestors can be tough. Since the United States is a relatively young country (emphasis on relatively), many of its mandatory records didn't become required for quite some time, or not until recently in some states. 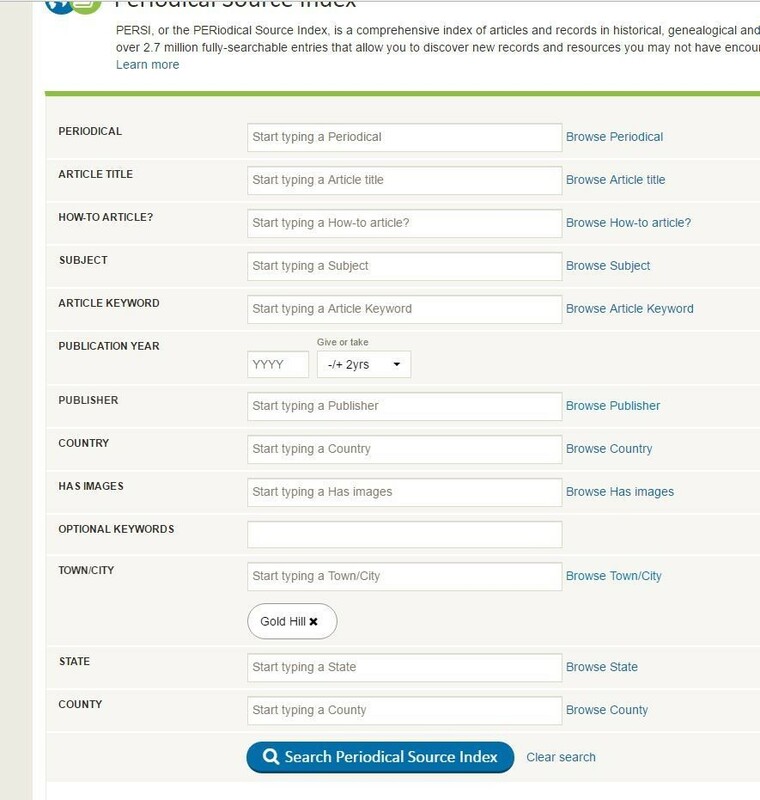 To add to the trickiness of required records, timelines varied from state to state, so it can make searching for US ancestors a bit of a challenge, especially if they lived in the United States prior to the census, but the Periodical Source Index (PERSI) can be a great help. Periodicals are important for genealogy research because they often contain indexes, abstracts, and how-to articles, all directly related to genealogical records. Some periodicals also have genealogies of families and fascinating case studies of family history discoveries. Could you imagine finding a published family history of one of your ancestors and how it could help you break through some of your brick walls? With PERSI that could be a reality. One important thing to keep in mind when browsing PERSI is that as a collection of sources it's indexed by article titles, not names. So, unless your ancestor had an article written about him/her, doing a general surname search isn't likely to return any results specific to your ancestor. However, remember that the strategy isn't to find a name, it's to locate the periodical your ancestor may be included in. So, location and time period are a great way to begin your searches. Because PERSI is always being updated, even if you've searched it before, it's worth searching again, and again, and again, and again. Also, as you uncover more clues to your family history PERSI can help you uncover even more with additional related searches. Besides, even if you aren't able to find a periodical specifically relating to one of your ancestors, the amount that can be learned from the periodicals is staggering, even for more experienced genealogists. Without further ado, here are the seven things you should know before getting stuck into PERSI. The more specific (i.e. the smaller the location), the better. You might find useful information recorded in a small town's periodical or even find specific mention of an ancestor if you're lucky. The results of the "Gold Hill" search were great since "Gold Hill" is as narrow as it's possible to go with that location. It's a very small town outside of Boulder, Colorado, so as a narrow search, PERSI has already unearthed a few applicable sources. Maybe "Women of Gold Hill community petition for telephone service, 1923" is of interest because you know you had ancestors living there at that time, or even that one of them was an active member of community organisations. or perhaps the "Longmont Ledger excerpts" catches your eye because you know your ancestors were already living there back in 1882. If your ancestor was religious there's a possibility they'll appear in periodicals or articles from the church they attended. If you're lucky enough, you might even find full biographies of them. *Keep in mind that sister churches, or other churches with similar affiliations, may be referenced or mentioned in each other's articles, so if you can't find anything, it may be worth looking for neighbouring, sister churches. Your ancestors could be mentioned in all sorts of articles related to subjects or topics they were affiliated with, so you should search PERSI based on any scraps of information you already have. For example, if your ancestor was a farmer in the Rocky Mountains, as well as searching for the Rocky Mountains it's a good idea to also try looking for the type of farming your ancestor did, maybe even searching for their crop. It's important to approach every family history search with a specific research goal and purpose in mind. The same goes for using PERSI, you must know who or what you're looking for and what you hope to find from the information PERSI can potentially provide. If you're specifically looking for early American records, for example, then you might consider doing a periodical research survey prior to using PERSI. You can look up different genealogical and historical societies to see what each specialise in, and then browse PERSI by publication first to see if the periodical you're looking for is covered. A great periodical to search for early American records is the New England Historical and Genealogical Register. Daughters of the American Revolution Magazine/American Spirit is also a great option for early American research. Be careful when searching years. It can be tempting to enter all your data into the search boxes and hit search, maybe sometimes without reading everything as closely as you should. In the PERSI search, the year search box is for the year of publication of the periodical, not the year of the event you're looking for. Some periodicals were published years after the event they cover. So, if you really want to search by year, then search for the year in the article keywords box instead. 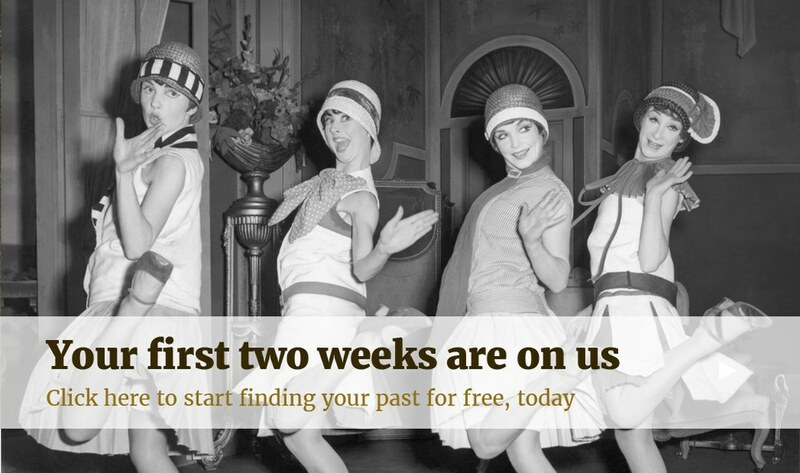 Whether you're looking for more information on some of those elusive more recent ancestors, or you're digging deep into your roots on the hunt for early American ancestors, PERSI can help. We hope this little guide has helped you understand how to get the most from this genealogical gold mine.